We can make you happy this weekend!! I sing..because.. I am happy! I sing.. because I am free! I sing..because the weekend is almost here!.. and this gorgeous Top and Skirt set by Peridot shall usher in the perfect burst of colour into our lives and yours. If you would only take a chance with us! I styled mine with a gorgeous box clutch with straps by Dot fashion. All her handbags are lovingly hand made in Nigeria with the finest leathers and skilled artisans. We stock really cool fashion. Stop by Zinkata this weekend and shop our spectacular fashion! 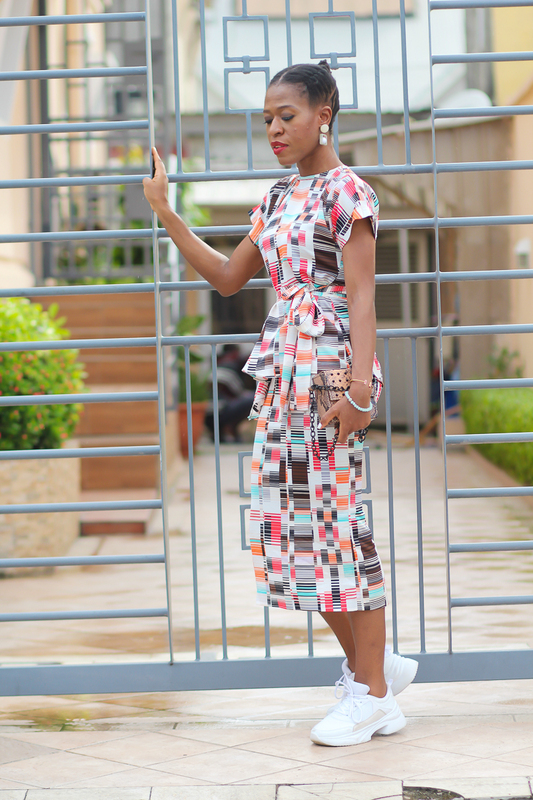 Fab made in Nigeria designs and truly authentic silhouettes. Have an awesome weekend all! See photos below and our contact details at the end of the page!